In the third round of the 2018 John Deere Classic, Vaughn Taylor drains a 22-foot putt for birdie at the par-4 1st hole. 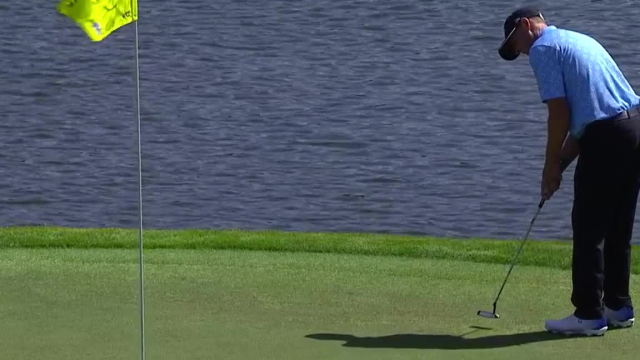 In the second round of the 2018 AT&T Pebble Beach Pro-Am, Vaughn Taylor's greenside bunker shot just falls in the cup for birdie on the par-3 12th hole. Check out the Top 5 shots of the week from THE RSM Classic, featuring Chris Kirk, Vaughn Taylor, Patton Kizzire, and Brian Gay. In the final round of The RSM Classic 2017, Austin Cook took his 54-hole lead all the way to the finish to secure his first PGA TOUR title.